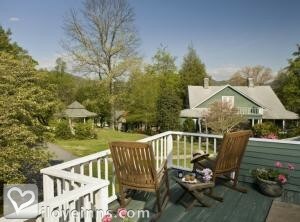 Tryon bed and breakfast travel guide for romantic, historic and adventure b&b's. 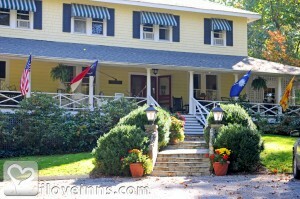 Browse through the iLoveInns.com database of Tryon, North Carolina bed and breakfasts and country inns to find detailed listings that include room rates, special deals and area activities. You can click on the 'check rates and availability' button to contact the innkeeper. Tryon is a beautiful town in North Carolina. Among the nearby attractions are Biltmore Estate, Blue Ridge Parkway, Carl Sandburg Home, Thomas Wolfe Memorial, Flat Rock Playhouse, and Brevard Music Center. Visitors in Tryon also enjoy scenic vistas in Chimney Rock Park, DuPont State Forest, and Cradle of Forestry. The Cowpens Battlefield Park is an important historical site in town. Foothills Equestrian Nature Center offers horseback riding. For those who love the arts, Tryon Fine Arts Center usually features interesting shows. From their Tryon bed and breakfast accommodations, guests can plan visits such as touring Lake Lure, hiking on the Blue Wall Passage of the Palmetto Trails or hiking to Pearson Falls. After a day touring, the Foothills Health and Fitness Center is the perfect place for a massage. By 1906 Pine Crest Inn and Restaurant.